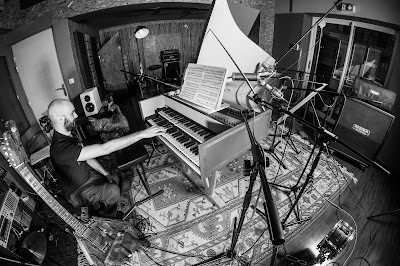 MxCx Blog: MxCx Interview#1 "Igorrr"
I'm 28 now, born in 1984, and i come from Rennes, in Bretagne. Q2.Please tell me about your musical roots. At what age did you have an interest in music? Did you listen to music of any genre first time? Please tell me about the artists that were affected. My musicals roots are mainly metal, mostly death or black-metal, but at the same time i was discovering electronic extreme music, and traditional music from eastern europe. I guess i always had a strong interest in music, as far as i remember, i was creating tracks, drums and melodies. At first with an old Yamaha synthesizer, after with the program "Music" on the playstation 1, and after with anything i could find, tape recorder, samplers and stuff like that. I think i don't have a one single influence, or something that could be an example for me, i just love many kinds of music, and i want every genre to be at the same place and at the same time. Like a meeting between Cannibal Corpse, Aphex Twin and Domenico Scarlatti. Q3.Start to play the guitar from what age? Who is the guitarist that has influenced you？What type the guitar that you are using the current Igorrr & Whourkr? I play guitar for a long time already. It doesn't mean that i'm old, it means that I started young :) I remember learning by myself listening to Metallica, Messhugah and Nirvana. The guitar i'm using in Igorrr and Whourkr is a creation from my friend Johan Deschamps, who is a Fashion designer and who made me this beautiful gift one day, he created it with Wild Custom Guitars. Q4.Are there any other instruments that you can play on guitar? Yes, I started by playing the piano when I was really young, playing some classics and baroque music. I'm playing drums as well. I used to be a death metal drummer with a couple of bands, and i'm also playing the bass and the percussions on many of my tracks. I can spend ages on anything which sounds good. Q5.What time made music first? Was music making from before "Igorrr"? Please tell me about the origin of the name of Igorrr. What time you start to Igorrr? Before Igorrr I was in a experimental period, this is quite hard to find your own style without pollution, rules, or any easy way of producing, so before these Igorrr albums, i was on my way to find myself musically. I guess it was always "Igorrr" but it was much more raw and maybe awkward. I started to produce tracks on the name Igorrr when i felt that I touched the point I had been looking for, it was around 2005 if I remember well. I choose the name Igorrr because I had a mouse at this time who I called Igor, and when it died, I was so sad that I wanted this name to still exist somehow. It was actually a gerbil, not a real mouse. I added 3 "r" just to make it uncomfortable to pronounce. Q6.Do you think that the music of Igorrr is Breakcore? We can see it as a kind of breakcore, yes, but in fact, I'm just using the breakcore elements as a base for mixing all the genres I love. I'd describe my music as a mixture between the genres such as death metal, baroque music, breakcore, trip hop and traditional music. In fact, I discovered brealcore really late, it was long time after I composed my first tracks. Q7.Please let me know the process of making music. How do you make the music doing? Are the guitar and the keyboard used? let me know PC software, a speaker, etc. which you are using. The process of doing my music require a lot of time: at first, I got the idea of the track, a precise feeling that I want to express, I have a picture of that feeling in my mind and I keep it as clear as I can. Then, when i'm building the track, for one or two weeks of recording and mixing, I'm really obsessed of it, and i'm thinking only about that. After some time I know it by heart, so, in spite of myself, the track replay in my head over and over again. After months or years of small little improvements the track I was working on start to be a transparent piece of music for me, I mean that I know it so well that when i'm listening to it really carefully, nothing shock me and nothing surprise me anymore. I'm using several programs to do it, mainly Cubase, but also Protools for the acoustic recordings. About the speakers, i feel good with 3 pairs, Adam S3a, Yamaha NS-10 and Fostex PM05. Q8.Many musical instruments and players are in your music. also, you can play to guitar and Composition. but, Your music also has many samplings. Why you use the sampling? Please tell me the sampling of charm that you think. I'm doing both, I like recording my own instruments and compositions, but I also enjoy sampling. I really enjoy taking something already existing and old, and give to it a new life and a new point of view. It's not like i think i'll do better than the sample itself, it's more like, i love the track so much that i want it as the leader of the genre i want to mix. For example, D. Scarlatti represent so much the Baroque music for me that i feel that this genius have to be mixed with brutal death metal. Actually i love the idea to take something already existing and put it in a place that doesn't fit to it at all, at least for the people who created it. Q9.Please tell me the contents of the "Hallelujah".Guitarist of Mayhem is participate? 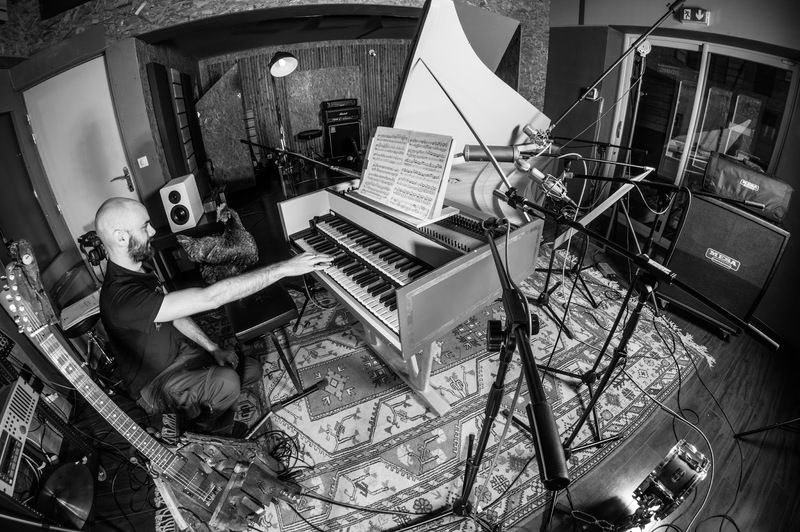 I asked the most amazing musicians I know to play the parts I composed on this album, because musically they are all coming from a really different world (death metal, baroque, traditional etc…) and they all are really talented. I'm really happy to make them them playing together. In this album, I really made what I wanted to do for years, which means the meeting of all the genres I love in one place. I spent years of working on this release and it's an achievement of something which was in my mind for really, really long time and which is really describing my personal perception of the music. Q10.Old time, you sampling the sound of the Japanese Koto(maby), Are you interested in music and culture of Japan? Yes I'm, and I like specially the Koto, when i was doing my first tracks many years ago, before my first album "Poisson Soluble", there was a lot of Koto in my tracks, i found a cheap midi sound of that instrument, and I was abused of it. Q11.When not making music, What are you doing? Please let me know your hobby. 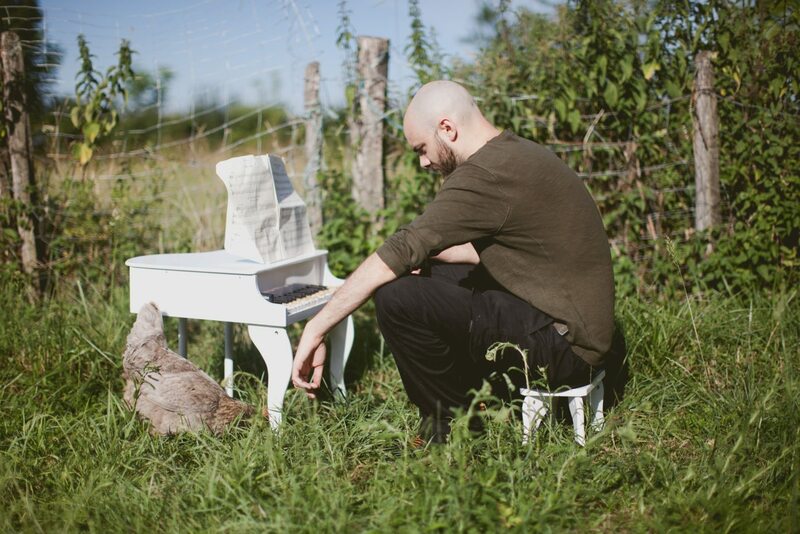 Actually I am making music all the time, apart spending chilling out moments with my chickens. I'm just doing music, composing albums, recording, mixing, touring, and when it's not on my own albums, i'm working in a studio, Improve Tone Studios, as a sound engineer. When i get sick of music, I go to the nature in the mountains with no artificial noises and above all, no breakcore, baroque, it is my kind of meditation. Q12.What do you think of the music scene in France right now? Who is a favorite of French artist these days? Unfortunately the music scene in France is quite closed for the stuff I'm doing. It seems to be opening a bit these last years, but still there is a lot to do to make it as popular as it deserves. My favorite French artists these days are Pryapisme, Vladimir Bozar 'n' ze Sheraf Orkestär, Ruby my Dear and Öxxö Xööx, there all are really different and an amazing musicians. Q13.Please let me know the concept of the music of Igorrr. 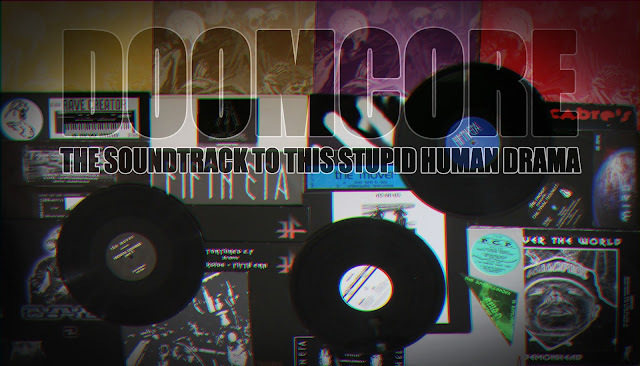 When the music of Igorrr is denoted by words, what do you say? Hard to describe your own music! Actually, music should speak by itself, there shouldn't be too much words which describe it :) Let's just say, "Igorrr" is my really personal point of view of the musical expression, the music which fits me the most, and shows how the "perfect" music for me should sounds. Q14.Please tell me your plans for the near future. what next your release? made new Whourkr album? The 21th of December is the release date of my new album "Hallelujah"!! After that, I'll be touring for a while, and also, we will very probably release our first album with my new duo project Corpo-Mente in 2013. No new album is planned for WHOURKR though. This project is dead now, i'm just waiting for a vinyl release of our album "Concrete" from 2009 on the label "Blood Music" in March 2013, but it will be only re-releasing the old stuff, no new tracks or gigs. Oo did i really finished the interview by "WHOURKR is dead"? Sounds rather pessimistic, but I'm just impatient to release the Hallelujah album !! Thank you very much!! And I'm looking forward to play some cool gigs in Japan next year!